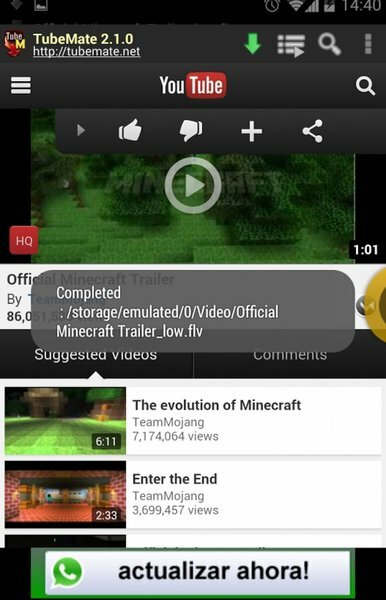 Tubemate is an App used for downloading YouTube videos directly on your mobile phone. This App is a YouTube Downloader , which is very easy to use and the most important thing about this app is that you can get any videos downloaded in your phone just within seconds without any extra price charged, through Tubemate. The first most important feature is the downloading of YouTube videos. With the help of this App you can download any type of YouTube videos, of any length and any language in your phone and that too instantly. Users who want to download different songs from YouTube can use this App anytime from anywhere. The next notable feature is the Quality Change feature. 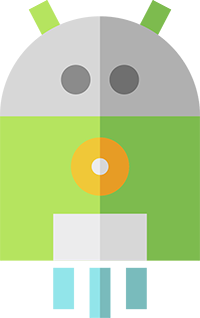 With the help of this App you can easily change the quality of the video according to the speed of your internet. The quality of resolution available to download here ranges from 144p to 4k resolution. Another amazing feature of this App is the MP3 conversion of the videos. The users who are interested to convert the videos to the MP3 format can do the conversion by using this App, just by connecting to the internet. This MP3 converter is powered by original MP3 Media Converter. This high quality App can be downloaded on your phone for free; you not require to pay anything in order to get this App. Another thing is that, it supports all types of smart phone devices. Tubemate provides you with a very fast downloading experience of different videos with the help of its original fast download technology. 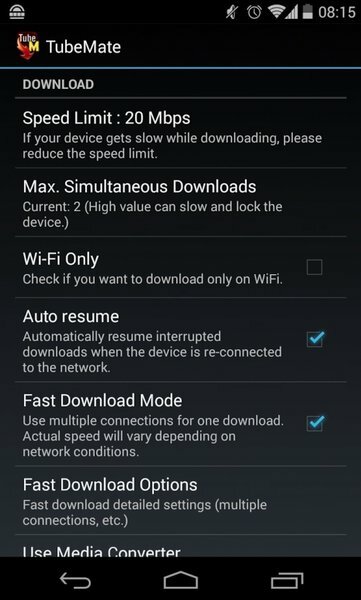 The users of this App can employ multiple connections for a single video download to get a fast downloading experience. Out of the various download resolutions, you can select your own preferred resolution. Once you start downloading a video via Tubemate, you can put this downloading task in the background and then can enjoy using any other App, without any difficulty. 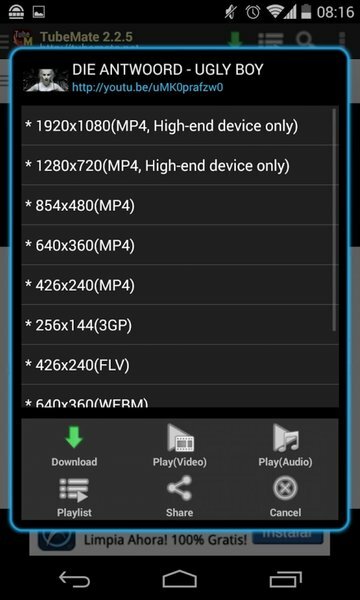 Moreover this App helps you to download multiple video files simultaneously. And you can easily pause, resume or cancel download of a video according to your needs. With this App you can download videos in formats like MP4 and FLV also. 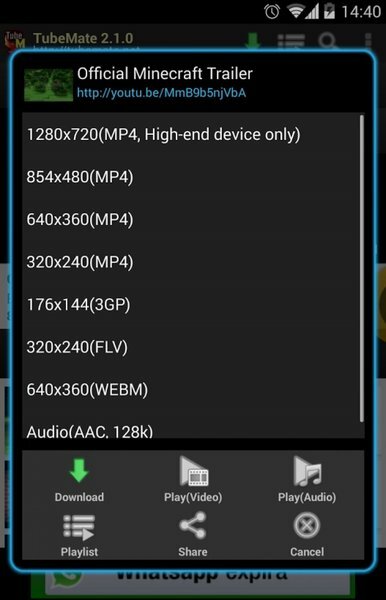 AAC format videos can be downloaded when you experience weak internet connection. 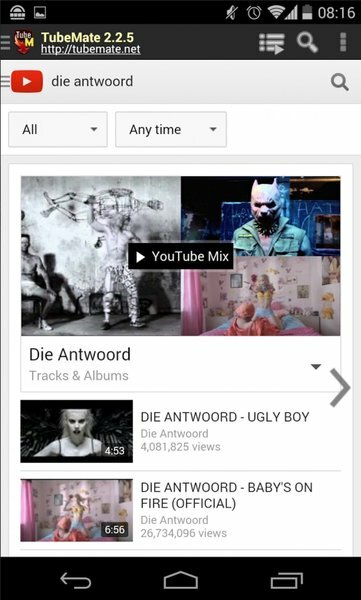 You can search your favorite videos directly in the Tubemate YouTube downloader and so there is no need to switch between Tubemate and Youtube again and again. 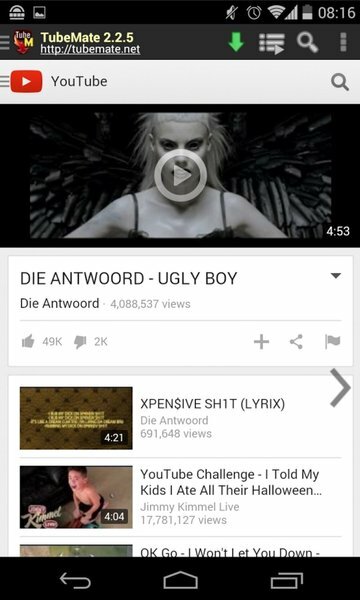 Playlist of your favorite music videos can be created and can be played using the inbuilt media player.